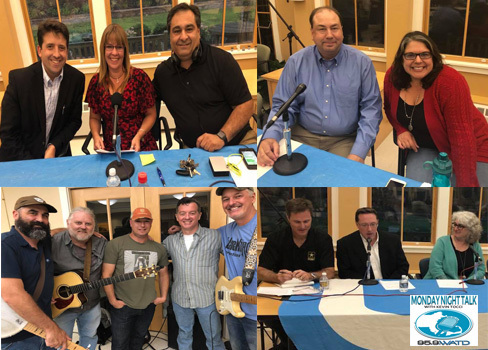 Check out the latest Monday Night Talk podcast as host Kevin Tocci speaks with State Representative Kathy LaNatra; Tammy Murray, Hanover's Director of Community Services and Elder Affairs; Dr John Huber and Comedian Dave Russo!!! 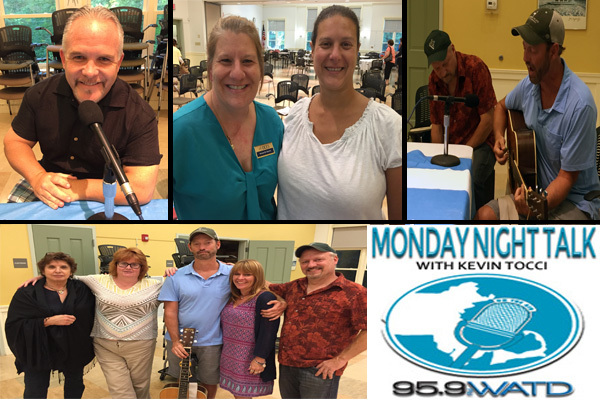 Check out the Monday Night Talk radio program from September 10, 2018 with Kevin Tocci is joined by co-host Tammy Murray, the Elder Affairs Director at the Hanover Council on Aging. Guests on this program include Hanover officials: Town Manager Joe Colangelo, Library Director Ginny Johnson, Veterans Services Ben Quelle and Steve O'Neil, who is the Director of the Historical Society, plus Rob Hakala and Lisa Azizian from WATD's South Shore Morning News along with music from Mountain Weekend!!! Welcome to the Monday Night Talk radio show podcast from June 4, 2018 featuring former Hanson Selectman David Soper; " Lynn Smith, Old Colony Elder Service & Beth Hadfield, Activity Coordinator - Center for Activity at the Plymouth Council on Aging and Comedian Paul Keenan promoting the Team Jake Comedy Crushes Cancer fundraiser. 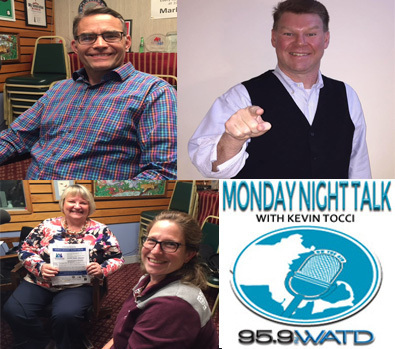 Check out the Monday Night Talk radio program with Kevin Tocci is joined by Tammy Murray, former Elder Affairs Director at the Kingston Council on Aging and Gretchen Emmetts, Assistant Director of Elder Affairs for a live broadcast. 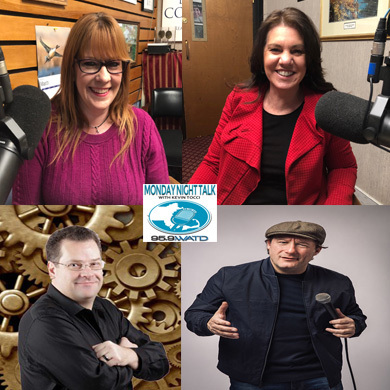 During the program, Kevin, Tammy and Gretchen speaks with hoarding experts Teresa Kourtz and Deana Andrade; Bestselling Author Casey Sherman and Musician-Producer Brian Stratton and Percussionist Derek Gunn!! !